More and more businesses are marketing with video, audio and CD’s. 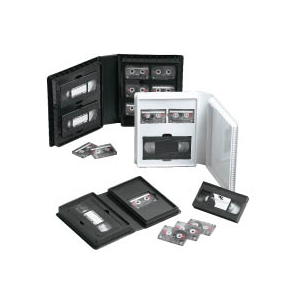 We offer our VHS albums as a useful tool to fill this need. This sturdy packaging is constructed in a variety of configurations which can include an 11″ x 8 1/2″ literature tray. Choose from black, or white, .020 gauge rigid vinyl trays. Cover is available in standard shoe kid, suedene and french calf colors.